Cabled Capelet is a cozy topping to any jacket or sweater. It features a two-sided collar, stripes, and cables. 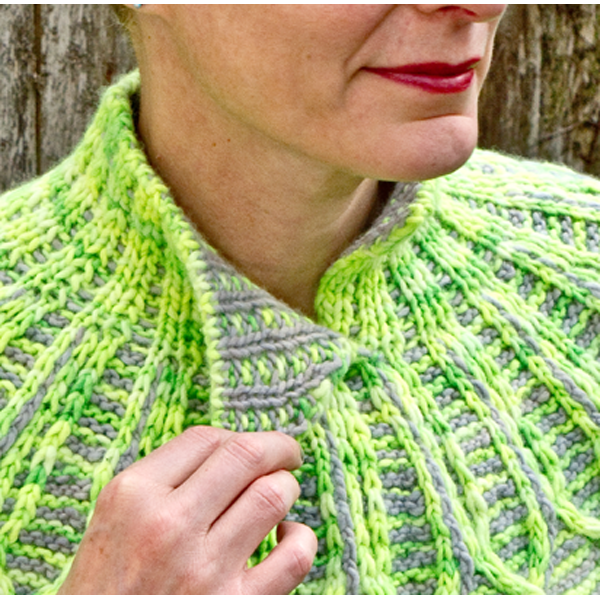 The Cabled Capelet pattern is available for purchase and download from Ravelry. It is sized from 29" to 49" (74cm to 124cm).